Although having bad credit doesn’t necessarily mean you’re on the lower end of the income spectrum, consumers with low incomes are also more likely to have low credit scores. And that combination of low income and poor credit can make many financial tasks a chore, including finding financing for an auto loan. Without some thorough research ahead of time, the search for bad-credit auto financing can take you to a lot of sketchy-looking car lots that seem more like random collections of junkers than legitimate businesses. And the experience often goes downhill from there once you start talking financing. That’s why doing the proper research to find a fair, honest lender for your financing can not only make the entire process much less stressful, but it can also be a key part of getting an auto loan that’s actually affordable. Given that a few internet searches can help you find anything from a bank account to specialty cheese to that awesome toy you lost in the third grade, it should be little surprise that the internet can also be used to help you find an auto lender that will work with your poor credit. These days, online lenders and lending networks have made it much easier to find flexible financing, with or without bad credit. In fact, nearly half of consumers looking for an auto loan shopped online before heading to the dealer. And, just as — if not more — important, checking online can make it easier to review those lenders and offers to ensure you’re not getting stuck with a bad deal. So, while you can certainly start with our top picks, be sure you do your own research before closing the deal. 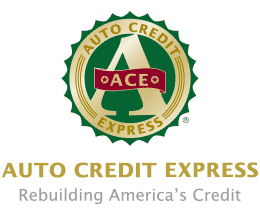 Auto Credit Express is a huge online network of dealers that specialize in bad credit auto financing. The network has no minimum credit score requirements, but does require a minimum monthly income of at least $1,500. The network has over 1,200 dealerships nationwide and an A+ rating with the Better Business Bureau. Another online lending network, car.Loan.com has a large partner network that can connect borrowers of all credit types with auto financing. The network has no minimum credit score requirements, though individual partners will set their own requirements. Remember that lending networks are not lenders and do not handle the actual financing. As an online lending network, myAutoloan.com can provide borrowers with up to four financing offers with a single application. The company has a broad partner network that means it can work with a variety of credit types, including borrowers with bad credit. The network has been in business for well over a decade and has an A+ rating with the Better Business Bureau. CarFinance.com is a direct auto lender that offers loans for new purchases and refinancing. You can get pre-approved for a CarFinance.com loan before you head to the dealer and pick out a vehicle, and the minimum credit score for approval is just 525. CarFinance.com loans are only available for passenger vehicles and light trucks for personal use. Not all vehicle brands are eligible for a CarFinance.com loan. Some of the ineligible brands include Daewoo, Hummer, Isuzu, Mercury, Oldsmobile, Pontiac, Saturn, and Smart. All-electric vehicles are also ineligible for a loan through CarFinance.com. Capital One is a major bank that offers a variety of products, including new and used auto loans. The minimum credit score for approval is just 500, though, of course, the bank will look at your entire credit profile, as well as your income, current debt, and employment history. Capital One’s Auto Navigator allows borrowers to pre-qualify for financing using a soft credit inquiry that won’t impact their credit score. Pre-qualified applicants can see their monthly payments, APRs, and offer summaries for selected vehicles. Keep in mind that terms are not final until you complete the loan at the dealer. LendingTree is an online lending network that partners with a variety of auto lenders, banks, and financial institutions. While LendingTree doesn’t specialize in bad-credit applicants, its large partner network means it can find matches for a range of credit types and there is no minimum credit score to apply for a loan. As a lending network, LendingTree will connect you with its partners based on your qualifications and partner requirements. LendingTree and up to five of its partners may perform a hard credit pull to present you with pre-approved offers before you head to the dealership. The company has an A- rating with the BBB. You can do almost anything online these days, and buying a car is just one of them. Carvana is an online used-car dealer that will sell you a car, finance your purchase, and deliver the car to your door. Carvana has no minimum credit score, but will look at your full credit profile before making a financing decision. You’ll need to select your vehicle from Carvana’s inventory for it to qualify for financing through the dealer. As much as 20% of auto loans in the U.S. are issued by credit unions, and for good reasons. Credit unions tend to have lower rates and fees than big banks, as well as much more flexible credit requirements. You can search for a local credit union online through the Credit Union Locator tool provided by the National Credit Union Administration. You’ll need to join the credit union from which you wish to get a loan if you are not already a member. Living, working, studying, or worshiping in the geographic area of the credit union is typically enough to be eligible for membership, though you’ll likely also have to open a checking or savings account. How Does Having Bad Credit Impact an Auto Loan? With all the bells and whistles that come in a car these days, it’s a big trick to find an affordable vehicle. Indeed, the average price of a new, basic compact car is over $20,000, and even a used car will likely run you more than $14,000. To make the big price tag of a vehicle more affordable, auto loans have gotten longer, and the typical auto loan now extends six to eight years. A high loan value plus a long loan term means a whole lot of interest for any borrower — but that cost skyrockets as credit scores fall. In general, you’ll start to feel the impact of having poor credit as soon as you start your search for an auto lender. Lenders consider a poor credit history to be a sign of high credit risk, meaning they consider you to be more likely to default on the loan (i.e., to stop paying it). As a result, many big banks and major lenders will often steer clear of bad-credit borrowers in favor of finding less risky customers. This can severely limit the pool of potential lenders, usually leaving you looking at small credit unions, expensive dealer financing, or subprime specialists. The next hurdle your bad credit can bring you is the size of the loan you can receive. Even with a healthy income, having bad credit can mean lenders aren’t willing to offer you a big loan — and a smaller income makes it even less likely you’ll receive a large loan offer. Once you’ve managed to find a lender or two that will offer you an auto loan, you’ll get to perhaps the most prominent negative of bad credit: the interest rates. Since bad-credit consumers are at a higher risk of default, lenders charge them more money to make up for any losses. And we’re not just talking about a few percentage points, either; the gap between the auto loan interest rates offered to poor and good credit borrowers can be more than 15 percentage points wide. When applied to a typical six-year, $20,000 auto loan as in the table above, that gap can mean thousands of dollars of difference. For example, someone with good credit who receives a 3.5% APR will pay about $2,200 in interest over the life of that auto loan. At the other end, someone with a poor credit score may receive a 15% APR, meaning they’ll pay over $10,400 in interest for the same $20,000 loan. Do You Need to Make a Down Payment or Provide a Trade-In? In general, you don’t necessarily need to make a down payment or provide a trade-in to get a loan, even with bad credit (so long as you pick the right lender). That being said, a down payment can often help you get approved for a loan thanks to the ability to reduce your loan-to-value (LTV) ratio. In general, auto loans are secured loans, meaning the vehicle you are purchasing acts as collateral for the loan. If you can’t repay your loan for any reason, the bank can repossess your vehicle and sell it to make up for some of its losses. With that in mind, the LTV of a given loan is the size of the loan over the total value of the vehicle that secures it. So, if you take out a loan of $20,000 to purchase a vehicle worth $20,000, the LTV is $20,000 / $20,000 = 1.0, or 100%. 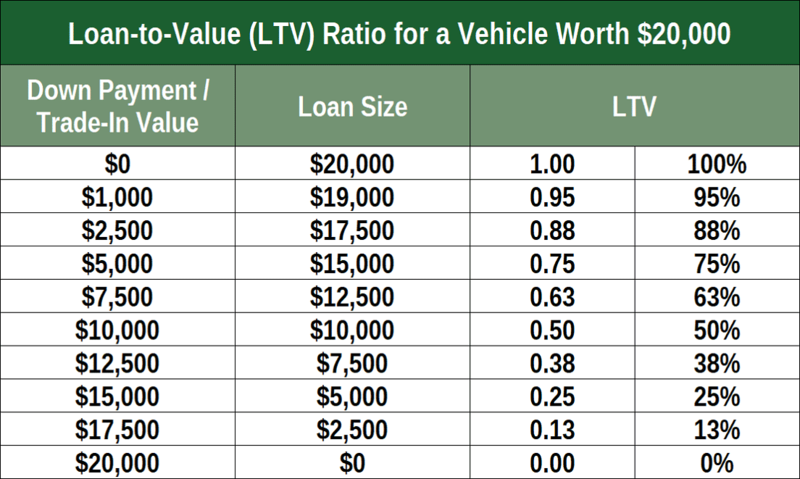 Similarly, a $15,000 loan used to purchase a vehicle with $20,000 value has an LTV of $15,000 / $20,000 = 0.75, or 75%. A loan with a high LTV represents a high risk for the lender, since the lender would need to get top dollar out of the vehicle to make up for any losses if the borrower defaults. Conversely, a lower LTV is less risky because the lender has a better chance of recovering the full value of its loan by selling the vehicle. When you make a down payment on a vehicle — or trade in another vehicle for credit toward your purchase — you’re effectively lowering the LTV of the loan, thus reducing the risk to the lender. Anything that reduces your perceived risk can improve your ability to get approved for a loan in general, and reducing your LTV can specifically help you get approved for a larger loan. 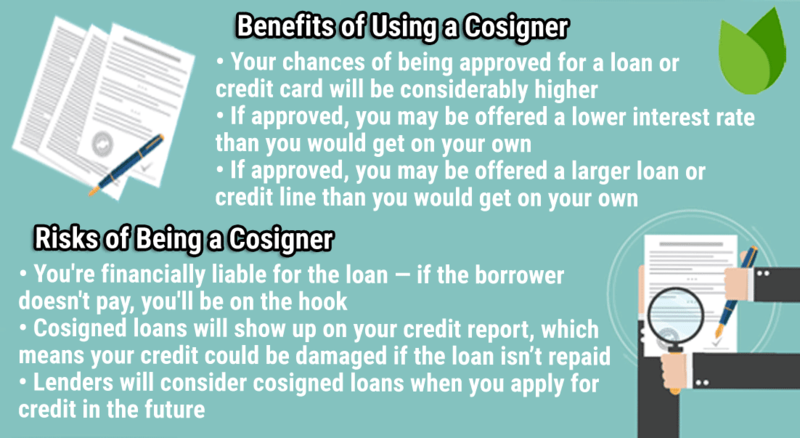 Should You Use a Cosigner If You Have Bad Credit? While providing a down payment or trade-in vehicle can help lower your LTV and improve your approval chances, it’s not the only way to reduce your credit risk. You can also sometimes borrow a little good credit from a friend or family member by having them cosign your loan. Essentially, a cosigner is someone with good credit who agrees to take responsibility for a debt if the primary borrower stops paying it. People with good credit represent less credit risk, as they’ll be much more likely to repay a debt to keep their good credit intact. Because the cosigner reduces the overall risk of the loan, lenders may be more willing to approve your application if you have a qualified cosigner. Moreover, you could also receive a lower interest rate and/or a larger loan than you would have received on your own. Whatever the potential upside, don’t ask someone to cosign your loan lightly. Cosigners hold as much legal and financial responsibility for a given debt as the primary borrower, and the cosigner puts his or her credit on the line, as well. If the primary borrower makes a payment that is more than 30 days late or defaults on the loan, the cosigner can look forward to both credit damage and a call from the lender looking for payment. In fact, some lenders may not even bother going after the primary borrower, choosing instead to go to the cosigner first. Can You Get an Auto Loan with a Credit Score of 500 to 550? With the exception of the occasional bedroom floor, humans like order. We like rules and limits that tell us exactly what to expect. So, the fact that consumer credit often has no hard lines or rules to follow can make it confusing to navigate. In this case, we’re talking about what credit scores can qualify for a loan — and which can’t. Unfortunately, there are no hard lines drawn by all lenders to help you know where you stand; every lending decision is made based on all of the individual applicant’s qualifications. The upside of this is that there is no hard cutoff score that will automatically disqualify you from qualifying for an auto loan at all. No matter what credit score you have, you can probably find a lender willing to work with you — it just may take a little hunting. That’s not to say that all lenders won’t have some sort of credit score threshold; big banks and mainstream lenders can have internal metrics that screen out applications based on some foundational credit information, including credit scores. However, the majority of lenders will evaluate all of your qualifications before making a decision. If you’re concerned about approval, many auto lenders will let you check for pre-qualification before you fill out an official application. Pre-qualification uses a soft credit pull — rather than a hard pull — to give you an idea of whether you’ll qualify. 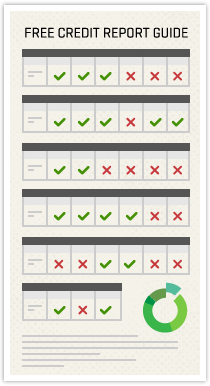 While not a guarantee of approval, pre-qualification can be a good tool for gauging your options. When you have poor credit, going from lot to lot looking for a lender can be disheartening at best — and an expensive mistake at worst. Doing your research before entering a loan agreement can save you time, money, and stress while shopping for a vehicle. In the end, bad credit doesn’t have to stop you from getting an auto loan — at least, not so long as you accept that your interest rate and fees aren’t going to be ideal. Regardless of the quality of auto loan you pick up, chances are good you’ll have that loan for at least a few years. That’s more than enough time to start rebuilding your credit — starting with paying your auto loan on time every month to build positive payment history. After just six months of positive payment history, you can see significant credit score improvements. And, since the best time to refinance an auto loan is after your credit scores have improved, you can start thinking about getting a new loan. With a higher credit score, you should be able to find a better loan with a lower interest rate and refinance your previous auto loan. So long as you don’t extend the repayment terms, a lower rate will help you save money on your loan and reduce the overall cost of your vehicle purchase.